There’s only one thing connecting your vehicle, and family’s safety, to the road. And while you may not be thinking about your car or truck’s tires often, you should know a few things to ensure your connection to the road is secure. Here’s the five most important things you need to know to keep your tires in shape. If you have questions or need help, you can always call the team at Turn Key Automotive at 843-293-6793 or by contacting us here. Your tire tread is the most common concern with drivers, and your team here at Turn Key Automotive. Every turn of your wheels takes off a microscopic portion of your tire tread. Typically a good tire can last for 50, 60, or even more many more thousand miles, but as the miles go by your tread disappears. And the tread is what ensures your wheels actual touch the road to give you the grip you need. So, when do you need to replace your tires due to tread wear? 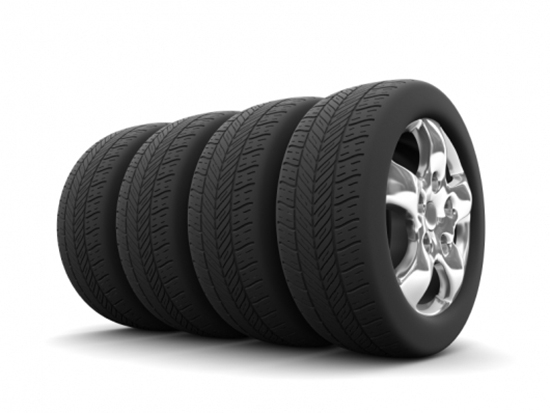 We recommend to start thinking about a new set of shoes for your car or truck when you have 3/32″ of tread remaining. When you only have 2/32″ you are now in immediate need for a replacement. How can you tell? The penny test is a great and simple way. Simply place a penny in your tread with Lincon’s head facing down. If you can see the top of his head, you need new ones. Better yet is the quarter test, the same test but using George Washington instead. If you can see George’s head, it means you only have 3/32″ of tread left and you should start thinking about investing in new tires. This is one of the most important factors when it comes to tires because it affects so many different areas – including tread life, fuel mileage, and vehicle performance. Underinflated tires increase rolling resistance, which forces the engine to work harder and burn more fuel to make the wheels turn. Underinflated tires also wear significantly faster, and cause for a rougher ride. To avoid these pitfalls, use a tire pressure gauge to check pressures weekly, but only when the vehicle hasn’t been driven for several hours as hot tires don’t provide an accurate pressure reading. The proper inflation pressure isn’t what’s listed on the tire’s sidewall but rather what’s printed by the vehicle manufacturer on a sticker on the gas tank door or on the driver’s door or door frame. Proper balanced and aligned wheels will keep your tires healthy longer. Lucky for you the mechanics at Turn Key Automotive check this during your routine maintenance. Luckily for you, proper balance and alignment also make for a smooth ride and easy steering. Rotating your tires also helps ensure they last for the full life of your warranty as well. Refer to your owner’s manual, but generally a rotation interval of 6,000 miles is recommended. Tire rotation time also offers a good opportunity to have your wheels balanced. It’s another step you can take to maximize your investment. 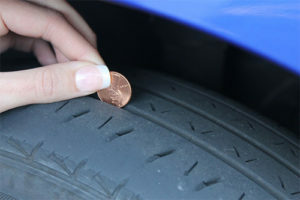 If you’re like most drivers, you only think about replacing your vehicle’s tires when there’s little to no tread left. However, just like you tires age and get more fragile the older they get. While you will likely need to replace your car tires when your tread is low, if you’re a low milage driver you will want to consider your tire’s expiration date. Why? The roads, changing seasons and weather, and most of all the sun all harm the integrity of your tires over time. A great example is the very old tires you will find on that old trailer out back. The tread is there but dry rot, cracking and weakening rubber can all lead to failure. Tire industry experts recommend replacing tires that are six or seven years old, even if they have plenty of tread depth remaining. You can determine any tire’s age by looking for the DOT code that appears on every sidewall. The last four numbers indicate the week and year of manufacture. So for example, 2116 indicates the it was made in the 21st week of 2016. Not all tires are the same and your vehicle type and your driving needs will determine what tires are best for you. Cold weather, snow, and ice require different tire tread and compositions. Hot weather, like here in Myrtle Beach, require different tread patterns and needs. The great news is regardless of your needs there are plenty of choices and price ranges to meet any budget. Ask your team at Turn Key Automotive to help you select the best tires for your vehicle and driving style. Our full line of name-brand names from Cooper, Michelin, BF Goodrich, Firestone, and more all come with some of the best prices on the Grand Strand. For more information request a free tire estimate or contact us.